What do you see when at the end of the day you look in a mirror? What does your life look like when you compare what you value with what you’ve done? Have you ever gone to bed at night seeing the difference between who you are and who you want to be? I’ll tell you what I see when I look in the mirror and examine my life. I see a mixture of contradictions and opposites. I see the beauty of my humanity and the disfigurement of my humanity. That’s just a start but it’s probably enough to give you an idea of what I see. What I see in the mirror is probably not too different from what you see in the mirror. I’ll bet you knew exactly what I was talking about as I named some of the things I see in my mirror. You may have even seen them in yourselves. The mirror of life reflects the human condition. It asks us to face ourselves. It shows our lives to be a study in contradictions and opposites. The wars and conflicts in our world, the division in our country, and the dysfunction in our families reflect the contradictions and opposites that live within each of us. When we see the opposites in our lives and world Jesus’ prayer takes on a more profound meaning and a greater urgency. Three times he prays that we might become one. He asks for us the same oneness that he and his Father share. His prayer expresses our own deep yearning for wholeness and names the reality that our lives and our world are divided and fragmented. That’s the human condition. It’s who you are and who I am. Jesus sees the reality of what is and has a vision for what can be. So what do we do with the contradictions that are our life? How do we resolve those opposites? We don’t, God does. Our work is to hold the opposites in tension with each other. We must give both sides of ourselves equal time, attention, energy, and even value. More often than not, however, we want to resolve the tension by choosing one over the other and eliminating the opposition. That just does not work. It has never worked. It won’t work. When opposites clash we all lose. When opposites are held in tension, however, new life and new possibilities arise. Let me give you a couple of examples of what happens when we work to eliminate opposition. First, our presidential election has in large part been dominated by candidates campaigning to eliminate the opposition. That has resolved nothing and left us with an implosion of authenticity, integrity, and veracity. Second, the history and current state of the Middle East is a story of one country, faction, or political group trying to eliminate its opposition. It has become a place of violence, fear, and refugees. We tend to see those as events happening around us, outside of us, and they are but before they ever do they first happen within us. We will never be able to face or accept the contradictions another person, country, or religion inevitably brings into our lives until we first face the opposites within ourselves. Until then, nothing can or will change in our world, country, or families, and the elimination of opposites will remain our default way of life. That’s not, however, the way of wholeness and it’s not the way of Christ. The oneness for which Christ prays neither demands nor depends upon the elimination or destruction of opposition. Rather, oneness and wholeness arise when the opposites are recognized and held in tension. 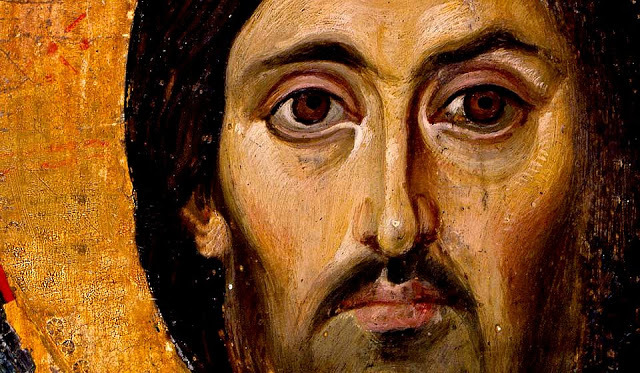 Jesus is the image, teacher, and archetype of the one in whom the opposites are held in tension. He is divine and human, Son of God and Son of Man. He wept at the grave of Lazarus and celebrated at the wedding in Cana. In the Garden of Gethsemane he held his Father’s will in tension with his own will. Our wholeness, individually and corporately, comes not in spite of the opposites but through the opposites, by holding them in tension with each other. Think back to the list with which I began this sermon. Think about the contradictions in your own life. When we attempt to eliminate the opposition within us we are discarding half our life. We are never more truly ourselves than when we hold our opposites in tension. We may not like what we see but it is ourselves that we are seeing. There are so many different and conflicting parts and aspects of ourselves that we sometimes forget or deny that all are necessary to our own wholeness and oneness. Most of the time we choose what we like or what we’ve been told is good and acceptable, and we reject, deny, or ignore the other parts of ourselves. This is self destructive and eventually destructive of others. We are denying ourselves and each other the oneness and wholeness for which we yearn. To stand in, feel, and hold the tension of our opposites is the practice of becoming one. The oppositions within us will teach us and show us the way if we will let them. That means facing up to ourselves. It is a life long process. Wholeness is a practice not a completion. Every time we hold the opposites in tension we are offering God all that we are and all that we have. We give God something to work with. To the degree we eliminate the opposition within us we withhold ourselves from God. We deny God our life. Every Sunday at the offertory I say to you, “Bring all that you are and all that you have.” That’s not really about the bread, wine, or money. It’s about you. It is you. It is the oppositions within you. It is your beauty and your disfigurement. It is who you are and who you want to be. That’s what is placed on the altar. That’s what gets consecrated, transformed into Christ, and given back to you as a new life. That is the Father answering Jesus’ prayer. Narelle, thanks so much for your PS. Your words have touched me deeply and you have blessed me. I think you’ve named one of the deep longings of humanity – to be blessed by another and to bless another. Thank you for another beautiful sermon. Life truly is a matter of balance. Yes, balance is a key spiritual practice. WOW. This is the third time in three days this topic has been foremost for me: on Sunday, it was in the form of a documentary on Pope Francis and his journey of spiritual formation; yesterday it was a session with a Sufi Master Teacher; today, it is yet another Interrupting the Silence piece from Mike Marsh, who always appears to be looking right into my heart and soul. Hmmmmm…three days in a row! And the grace of God carries me along on the River of Life. Thanks be to God and thank you once again, Mike Marsh. Three times – yes, “Wow.” Something is calling and arising for you. Grace upon grace. The homily was beautiful. It would be appreciatd by everyone. Thank you Tinyiko. May God’s blessing be with you today and always.